Following another rather bearish week, it is not entirely surprising to see the Ethereum price fall further. Although some users expected the $120 level to be supported, that is not the case after all. As of right now, the main question is whether or not $115 will be reached and breached. It seems the Constantinople fork delay has caused some dismay among investors, but that is only to be expected. As long as Bitcoin remains in a slump, the rest of the markets will follow its lead by example. That is not entirely abnormal by any means, as most other currencies, tokens, and assets directly derive their current value from Bitcoin. Ethereum is no exception in this regard, even though this token is doing something very different from the world’s leading cryptocurrency. Even so, it cannot escape the grueling bearish trend which keeps all markets in its grip right now. Over the past 24 hours, the Ether value has continued to plummet at a somewhat alarming rate. A net 6.423% loss in USD value is present at the time of writing. There is also a 1.8% deficit in ETH/BTC to contend with. As long as Ethereum doesn’t note any gains on Bitcoin, its USD value will not shift in the green either. A new infographic shared by Datalight is pretty interesting to keep an eye on. Although it has fallen well behind Bitcoin in terms of Twitter activity, it barely remains ahead of XRP. That latter part may prove to be very interesting to keep an eye on. XRP Remains ahead of Ethereum in terms of market cap, primarily because the asset keeps its losses in check, whereas Ethereum is bleeding value all over the place. Although the following price chart seemingly has nothing to do with Ethereum, the reality is very different. It has become more than apparent the future Ethereum value will heavily hinge on what happens to the BTC/USD ratio in the near future. WhaleTank Crypto seems to indicate there will be further bearish pressure on Bitcoin moving forward, which doesn’t bode well for Ethereum either. An interesting week looms ahead. Still have room to fall to 3450. When looking at the actual Ethereum chart itself, it would appear the current momentum can take the value in either direction. With sufficient liquidity, a breakout shouldn’t be impossible to achieve, but it seems the token cannot regain value on Bitcoin itself right now. Even so, these markets all behave in very odd fashion more often than not, thus no one will know what comes next. 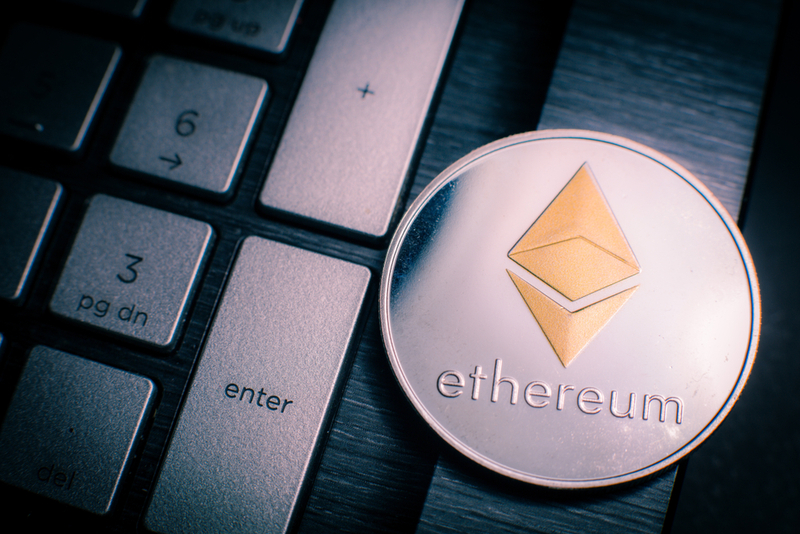 Based on all of these circumstances and developments, it seems unlikely Ethereum’s value will return to $120 anytime soon. At the same time, a drop to $115 or lower isn’t guaranteed either. These markets are extremely volatile first and foremost, which makes them both appealing and somewhat frightening at the same time. One thing working in Etheruem’s favor is the trading volume, yet its market cap continues to lose ground compared to XRP’s. That in itself is another interesting trend to keep an eye on over the coming weeks. The post Ethereum Price Decline Allows XRP’s Market Cap to Increase its Advantage appeared first on NullTX.